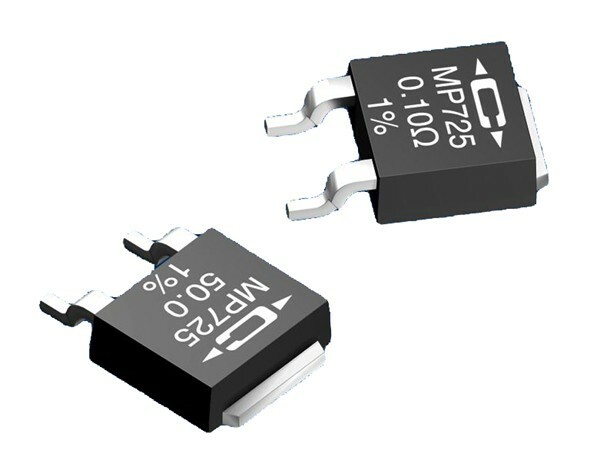 Product information "MP725 Power Film Resistors"
MP725 Surface Mount Power Film Resistors introduce our proven Micronox® resistance film system in the widely accepted D-Pak style surface mount power package. The non-inductive design makes this resistor ideal in high frequency communications, power switching circuits, and snubbers. D-Pak style power package for surface mount applications. Metal tab assists in post surface mount soldering inspection. Resistance values to 0.020 ohm for current sense applications. Up to 25 Watt power rating at +25°C case temperature. Resistor element is electrically isolated from the metal heat sink tab. Related links to "MP725 Power Film Resistors"
Customer evaluation for "MP725 Power Film Resistors"